What do worms eat? They're wiggling out of the lawn, hiding under your flowers, and love to munch on things that you'd never want to eat for lunch, such as rotten vegetables. But what is a worm's favorite food? Discover what worms like to eat with this simple compost project. 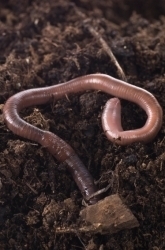 Red wigglers worms are outstanding composters, which means they break down organic matter—including food waste, lawn clippings and leaves—in order to make fertilizer. Red wigglers often find their way to outdoor compost bins, full of fresh food on the surface of soil—but out of all the lawn clippings and veggie scraps, which "foods" do the worms like best? To decide which foods red wiggler worms like to eat, and which foods they don't like. 2 dark plastic bins, the same size. Help an adult drill holes in the bottom of one of the plastic bins, making each hole a few inches apart. These holes are to drain out water, so that your worms don't get too wet! These bugs like moisture, but not swimming. Place a layer of shredded newspaper on the bottom of the bin until the bin is at least halfway full. Spray the newspaper lightly to keep it moist, since worms like moisture. Top the shredded newspaper with a thin layer of soil. Slide the bin with holes down into the bin without holes, and you have a compost liquid collector. When water starts to slosh in the outer bin, it's time to remove that bin and use the liquid inside to feed your plants. Look at the items on your worm menu: a fruit, a vegetable, a paper product and an eggshell. As you look at each item, think about the following questions: What does it look like? Are there any holes in it? Does it have any soft bits? Record your notes in your notebook. Think about the kinds of things you like to eat. Are they sweet? Savory? What makes them appealing? Record your notes in your notebook. Using the notes you've taken, guess which item on the worm menu the red wigglers will like best. Write this guess—called a hypothesis—in your notebook. Use your ruler to measure each item on the worm menu. Write down the size of each worm food in your notebook. Take a photo of each piece of worm food. Place one item near each corner of the bin, and bury it under an inch or two of shredded newspaper and a bit of soil. Make a note of where you place each item. Put the lid on the box. Wait 3 days, then check on your box. Consider the following questions: How did the items change? Do they look different? Are they smaller? Which one has the most worms in it? Write down what you've observed in your notebook. Wait a few more days, then repeat steps 12 and 13. Just like you, worms like certain foods. A worm can't order from a menu, but they can show you whether they like or dislike certain items. Watching the worms' behavior can teach you a lot about the wiggly bug's food habits. Look at the items in your compost bin. What did your worms like to eat?How can you tell that these were the worms' favorite foods? Were there more worms there? Were those food items smaller than the others? Write or draw everything that you see in your notebook. Do you think that your results apply to all food in that category? For example, if your worms loved lettuce, do you think that they'd like all other vegetables as well? How could you tell? During this compost project, you observed—watched closely—what worms like to eat. Observation is a very important part of being a scientist. By observing patterns in nature, you can get ideas for new experiments. Think about the patterns that you saw in your compost bin. Did the worms like soft foods or hard ones? Did they stay away from certain types of foods? 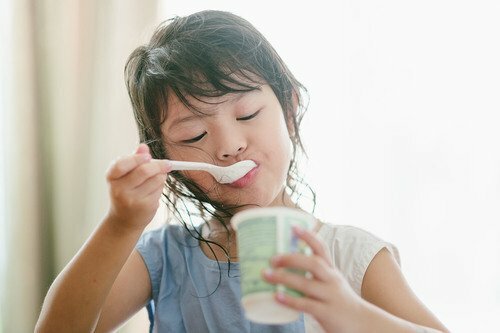 Are these foods yucky to them for some reason? Can you design a menu that will keep your worms happy and use up food scraps from your kitchen? By watching worms and experimenting with different types of food in your bin, you can learn how to keep compost worms happy. In return, your worms will build you good soil to grow more plants in! What does a dog eat? 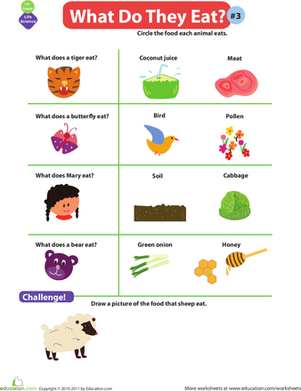 Kids choose the pictures that show what kind of food each animal likes to eat in this first grade life science worksheet. What does a seal eat? Kids choose the pictures that show what kind of food each animal likes to eat in this first grade life science worksheet. What does a butterfly eat? 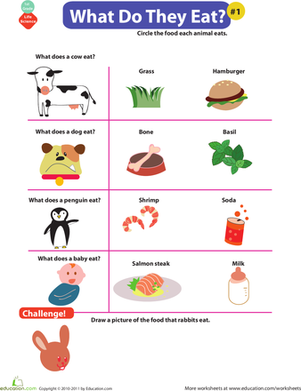 Kids choose the pictures that show what kind of food each animal likes to eat in this first grade life science worksheet. 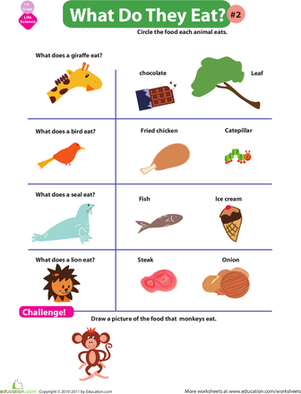 Does your little scientist know what animals eat? Draw a delicious meal for each of these creatures. 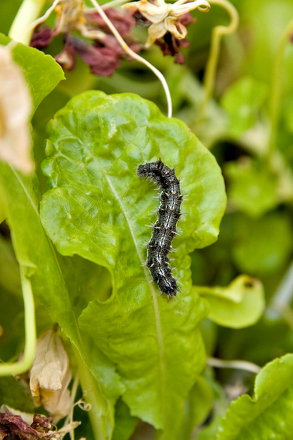 Here's an easy experiment that lets your first grader practice the scientific method, while watching a caterpillar eat. Did you know we eat all kinds of plant parts, from the root to the flowers? Discover the importance of plants in our diet with this fun worksheet. 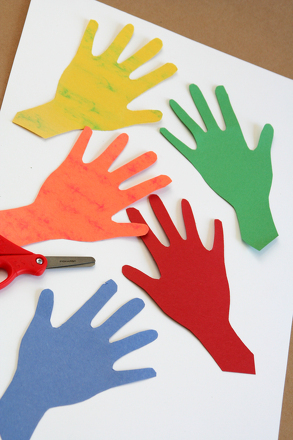 This hands-on activity gets first grade kids brainstorming about what needs change in the world, and how they can help. How often do we eat with awareness and really taste our food and think about where the food came from?